SIEX-HC™ 13 is specially designed to deal with fires in occupied areas, which also bear special design features such as high ceilings or areas where an abundant amount of agent is required, respecting the safety of the people. The low molecular weight of the extinguishing agent provides excellent dispersion in the secured room, making it the best solution for protecting large, open areas (up to 7.5 meters high). This type of architecture is very common both in public spaces and in industrial and commercial buildings, achieving rapid coverage and protection of the area. 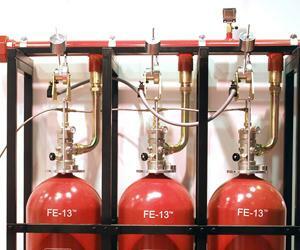 It is also suitable when fire protection is required in areas with low temperatures. The low boiling point of the agent infers a high stability, also conditioned by the properties of the equipment. It works by total flooding, with discharges of up to 10 seconds, suitable for class A, B and C hazards. 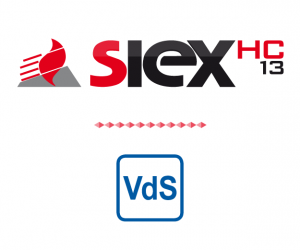 SIEX-HC™ 13 and all of its components have been certified by VdS Laboratory. This recognition guarantees quality protection and the safety of personnel. The qualities of the HFC-23 agent allow the creation of create high pressure systems without requiring additional pressurization. The high pressure provides great benefits for the system, such as its suitability for use with selector valves and the ease with which it can protect building with complex pipe networks. 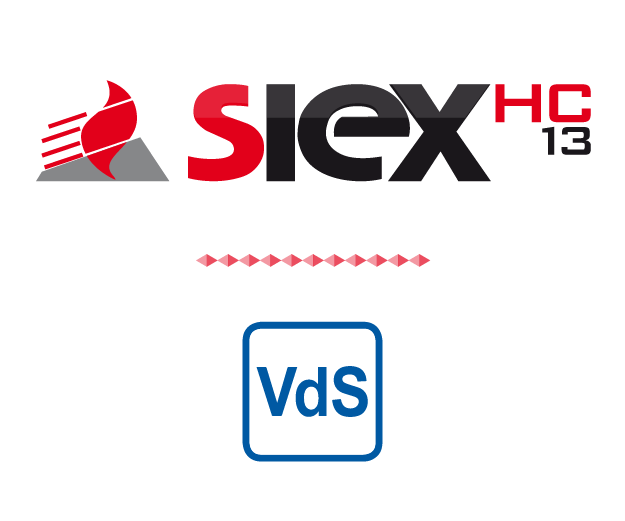 The hydraulic calculations are performed by VdS approved software specific for SIEX-HC™ 13. The system design meets the ISO 14250, UNE 15004-6 and NFPA 2001 standards, on which these system calculation requirements are based. Ideal for open areas with high ceilings (up to 7.5 meters). Can be stored at very low temperature. Suitable for occupied areas, with a large safety factor. High cooling capacity and great hazard area penetration. Rapid extinguishment with discharge times of less than 10 seconds. Minimum space occupied in containers. Leaves no residue after discharge. The multiple tests carried out on the HFC-23 agent confirm its high extinguishing capability and its good performance at low temperatures. The small size of its molecules are ideal for deeply penetrating the sources of fire and for spreading to protect large spaces. It represents a great environmental benefit, since it is produced as a consequence of the creation of another material. This is why no unique process is required for manufacturing. The environmental impact involved is therefore directly related to responsible and efficient use of the gas. It is a clean, colorless, odorless, non-conductive chemical agent. It is stored in liquid phase thus requiring reduced storage space and its conversions to vapour easily occurs in the pipwork once the cylinder has been released.